Given that there are so many conditions associated with fatigue, it is no surprise that high blood pressure often goes unnoticed. It should receive more attention, however, given that it can not only make you tired but can result in serious and even life-threatening health consequences. There are few adults alive today who aren’t at least somewhat aware of the dangers of hypertension – the condition otherwise known as high blood pressure. Almost everyone has some basic understanding that when their pressure gets too high, bad things can happen. Few, however, understand why blood pressure is even important to good health, or how it affects the body. For example, when the dangers of hypertension are discussed, the focus is usually on the damaging impact the condition can have on vital organs – particularly the heart. We talk about arterial issues, heart attacks, and strokes. What often gets neglected in these conversations is how hypertension affects other areas of health like energy levels. And make no mistake: these other effects can be just as debilitating and disruptive to a patient’s quality of life. To understand why blood pressure is important, it is necessary to understand what is measured when doctors take those readings. This pressure is a measurement of the quantity of blood that your heart is pumping at any given moment, as well as the state of the blood flow through your arteries. That’s why your readings show up high when the heart is trying to pump a large volume of blood through narrowed arteries. The smaller arterial passageways block the normal flow of blood and increase pressure. As this situation continues without treatment, it results in damage to all your blood vessels, as well as to the heart itself. Over time, significant health complications can arise, including heart attacks, strokes, and arterial issues. Make no mistake: elevated blood pressure is not something to be trifled with or ignored; it can literally kill you. But can it cause fatigue? Well, the short answer is a qualified “yes.” The longer answer is that it does not do so directly, but its effects and the medications used to treat it definitely do have that impact. You see, the fact is that most people who have hypertension never really exhibit symptoms of any kind until their arteries and organs have undergone some level of damage. Prior to that tipping point, there are few if any noticeable signs that anything might be out of the ordinary. To be sure, a rare few experience some dizziness or nosebleeds, but the vast majority of patients experience no symptoms at all. The fatigue comes into the equation as that elevated pressure becomes chronic in nature, and vital organs like the brain, heart, and kidneys get damaged. It is that damage that causes fatigue as the body reacts to the condition’s assault on its integrity. But, as you might expect, even that reaction is but a small part of the fatigue that these patients can experience. For many, the treatment can be even more exhausting than the ailment! This is especially true for individuals who have to take medications to lower their blood pressure. As the volume of blood that is being moved around the body drops due to this medication, the body reacts by producing less energy. 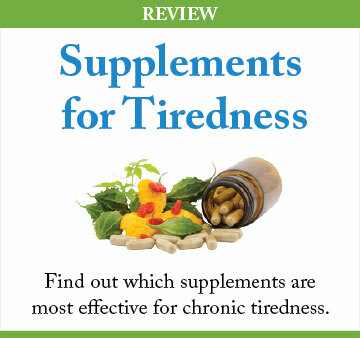 This results in increased tiredness and more severe fatigue. Fortunately, that fatigue passes as the body readjusts to the new flow. The primary strategies for treating hypertension fatigue involve treating both the underlying condition and the tiredness. In fact, most of the steps needed to treat the high blood pressure also have a noticeable impact on the patient’s energy levels too. Stop smoking and reduce your alcohol intake. Smoking is damaging to your respiratory system and affects the circulatory system as well. So, on every level, this behavior is harmful to your energy levels. Lose weight if you need to. Obviously, carrying around extra body weight places increased demands on the heart and the arteries, and contributes to hypertension. Most obese people also struggle with mobility and breathing issues, to the fact that the added weight can cause them fatigue shouldn’t come as a surprise. Get regular exercise to improve the heart rate and respiration. Change your diet. Reduce your sodium intake, drink more water, and eat more quality foods rich in the vitamins and minerals you need for sound health. Make sure you have plenty of potassium, since that is a proven hypertension fighter! Learn to avoid or better manage stress. Stress can be the number one issue for many hypertension sufferers. Exercise and diet can help, but you might also need meditation and other relaxation techniques to assist you in lowering stress levels. Consult with your physician regularly, and especially when you notice changes in your condition. Without regular consultations, he or she won’t be able to provide the assistance you need to get your hypertension under control. Take all prescribed medications as ordered. If you experience side effects, let your doctor know. Hypertension is a major concern for a large portion of the world’s population, and is something that needs to be addressed by any patients as soon as it is diagnosed. The long-term dangers associate with the condition and the fatigue it can cause represent real threats to patient health. Thankfully, strict adherence to a sound treatment program can help patients lower their blood pressure and recover from the fatigue.